Be prepared for anything that mother nature throws at you with the Outdoor Research Airpurge Dry Compression Sack. Featuring a fully waterproof, 100% nylon construction, the Airpurge Dry Compression Sack features an air-permeable band at the roll top closure, allowing for air to be purged from the sack during compression. Packing down compact enough to nest inside a pannier or frame bag, the Airpurge is a great addition to your bikepacking kit, adding waterproof protection you can trust. 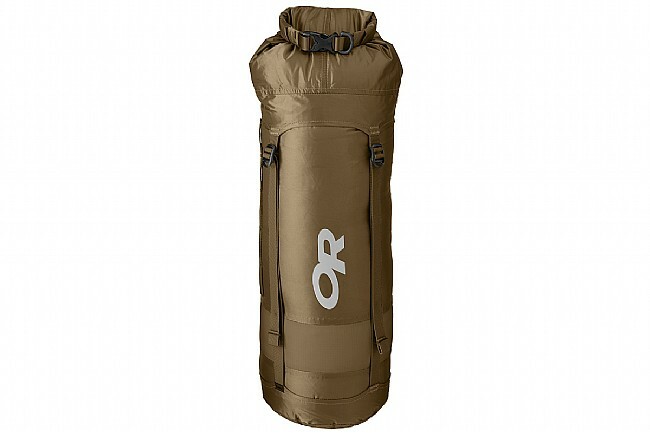 The Outdoor Research Airpurge Dry Compression Sack is available in two sizes: 8 liter or 15 liter.